First of all, thank you! I want to thank Maria and Skylar for nominating me for this award. 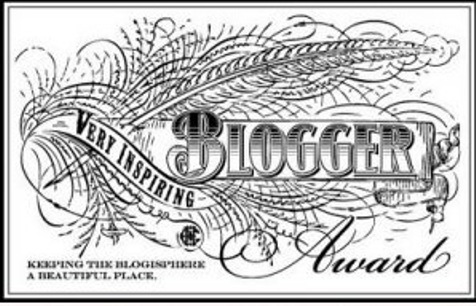 Wow, I still can’t believe people read my blog let alone nominate me for the Liebster Award. Thank you! Thank you! Thank you! List your 11 nominees. Supposed to be with 200 followers or less. No tagbacks. I am a junior in college. My major is Secondary Education – English. I want to be a high school English teacher. I have always wanted to do something education related since I was 9 years old. It wasn’t until freshman year of high school (15) I decided to concentrate in English. I am very passionate about education. In addition to having migraines, I have asthma. I was diagnosed when I was 7 after a week long stint in the hospital before Christmas. Before my diagnosis, I was mistakenly diagnosed with bronchitis and/or pneumonia every winter. My asthma “trigger” is cold, dry air and live pine “Christmas” trees. I also have Polycystic Ovarian Syndrome (PCOS). This manifests as intense cramps when I have my period but other than that, it’s all normal. I am the middle child. I have an older brother, 18 years older than me and a younger sister 18 months younger than me. I am a lot closer to my sister than my brother. While on the topic of family, my heritage is Greek, Polish and German. An odd mix, I know. I am a Netflix addict. My favorite shows are Doctor Who, Sherlock, Fringe, and Orange is The New Black. I love literature and reading. My favorite genre of literature is science fiction. Nothing beats a good sci fi read. I also love coming of age literature and classic literature and all literature really. I’m queer which means I date awesome people regardless of what they have going on in their pants. I am liberal and a huge feminist. I go on and on about liberal and feminist issues for hours and hours. If I’m going on a rant, it usually means I’m feeling pretty good. I spoke about migraines at a composition conference held at my university on the freshman panel. It was the first time I didn’t feel alone with my migraines. In middle school and high school, I use to write novella length fantasy and sci fi fiction. I use to do NaNoWriMo (50,000 words in 30 days) and won a couple of time. This drove me to choose the style of writing for this blog. Instead of life updates where I summarize what happened, I chose to rely on fiction writing experience and submerse the reader in my life with migraines. I hate the beach – it’s disgusting. Favorite song? It’s a tie between “I Wanna Get Better” by Bleachers or “Migraine” by Twenty One Pilots – both a migrainuer’s anthem. Pet peeve? When people play music simultaneously and when people spell my name (Emily) like “Emma Leigh” or “Emmalee” or some other WRONG way. Number one reason you keep blogging? So others don’t feel quite so alone when it comes to this whole migraine thing. I didn’t meet any other migrainuers until I was 19 (after having them for 6 years) and felt incredibly alone. I want to get in touch with other kids who are suffering and share my story so they know they are not alone. Three things you’re passionate about? I am passionate about education, English literature, and feminism. If you could relive a day or an event which would you choose and why? The first one that comes to mind is meeting my best friend. Earliest childhood memory? Watching cartoons as a kid. If you could change one thing about your life what would it be? No more migraines would be the obvious answer but it’s true. All right, I think this wraps it up. I want to thank everyone again. Thank you. Feel free to answer my questions or completely ignore this. Be consistent with posts, post on a schedule. Use tag effectively and tag everything. Follow other blogs about similar topics. Comment on other people’s blog. Go free at first and you always have the option to purchase your own domain in the future.